Warts can appear all over the body and although they are mostly harmless, they can cause concern in terms of appearance and discomfort. If you have a wart or two, you may decide to intervene and have it removed; this can be done in numerous ways. You can either visit a dermatologist to have the wart cut, burnt, or froze off, or you could opt for a more natural method of removal. 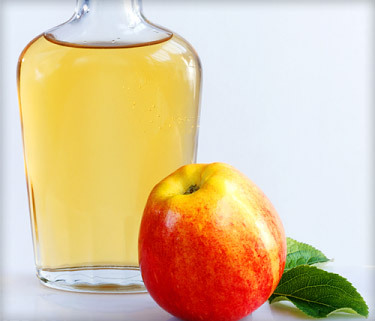 Some say that when apply apple cider vinegar, warts will disappear. But is it true? If it is true, how to do that? Does Apple Cider Vinegar Warts Remedy Really Work? As mentioned, the use of apple cider vinegar (ACV) will greatly assist with wart removal. The reason for this is due to the acidic content of the vinegar, which attacks the surface of the wart, causing it to drop off. The vinegar, however, has no effect on the virus that causes the wart, although a large portion of the virus (Human Papilloma Virus) can be expelled with the wart. A benefit to using apple cider vinegar on warts is that it will rarely result in the formulation of a scar once the wart has dropped off, which may be the case if you choose for aggressive methods of wart removal. 1. Gently file down the wart with a pumice stone or something similar, ensuring not to break any healthy skin, then wash your face thoroughly with water. 2. It is important to note that ACV can be harmful to healthy skin; this is where the petroleum jelly comes in. Place it around the area of the wart to cover the healthy skin, which will protect it from the ACV. 3. Grab the cotton ball and place several drops of ACV onto it. For best results when using apple cider vinegar warts remedy, ensure that the cotton ball is soaked thoroughly. After soaking the ACV onto the cotton ball, place the cotton ball over the wart, ensuring to cover the wart in its entirety. 4. Use the Band-Aid (or tape) to secure the cotton ball in its position over the wart and leave it there overnight. 5. Repeat the process until the wart is gone. It is important to note that if you use this method, the wart will likely turn black before is proceeds to fall off, which is completely normal. Whilst many people may experience no scaring or irritation from using apple cider vinegar warts remedy, this may not be the case for all people. 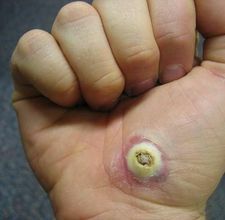 If you are experiencing no adverse side effects from the treatment, then continue to do it until the wart is eradicated. If, however, your healthy skin is becoming irritated, even with the use of petroleum jelly, then it may be best to opt for gentler methods. When using apple cider vinegar, warts may heal if you keep to it. However, it's still important to know what to expect during the wart removal process. One key thing to remember is that the experience can differ on a person-to-person and a wart-to-wart basis, meaning that not all removal processes will be the same. One thing you may experience is swelling and sometimes throbbing of the wart. This is caused by the consistent presence of apple cider vinegar, causing the wart to swell and throb. Not everyone will experience this, if you do not, then you will most likely have a pain free experience in terms of wart removal. As mentioned, the use of apple cider vinegar warts remedy causes them to turn black, which is a precursor to them falling off. Once the use of ACV has had a potent enough effect on the wart to cause it to begin to peel off, it can be tempting to pick or pull the wart off. This is not recommended, as the wart is likely not ready, meaning if you pull the wart out, some remnants may be left behind, which will likely lead to the development of further warts, requiring further treatments.